Did you know in addition to providing expert design services for your small scale branding and advertising projects, our design team can also handle your extremely large-scale needs? We are dedicated to providing great design at any size and do large-scale design for anything from hanging banners, to billboards, and everything in-between. Our talented design team thrives on the challenge working in various sizes and mediums provide, and our clients are always pleased with the results. 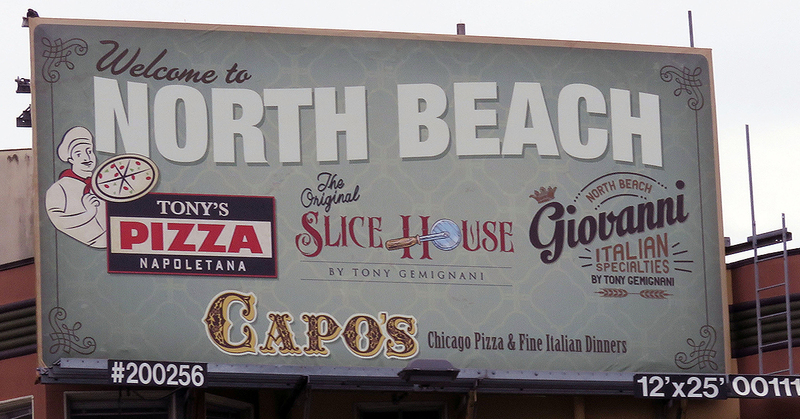 Recently our Senior Designer, Jennifer Meyer created a billboard for long time client Tony Gemignani. Throughout the years we have had the pleasure of working with Tony we have helped him build several unique brands for his restaurant group and sales businesses. 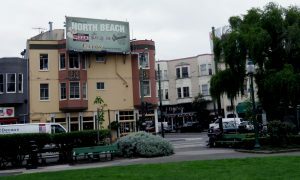 When he approached us about the billboard we were thrilled to create advertising at this level for Tony’s successful North Beach businesses. Imagine how ecstatic we were the first time Jen’s design work was spotted in the wild! We don’t often get to see our work doing its job after we sign off on projects like this, so it is always special to run across our designs. Did you know many of our staff members are artists outside of their design careers here with LunaGraphica? Our Creative Director, Cindy Couling is an accomplished ceramics and mixed media artist. 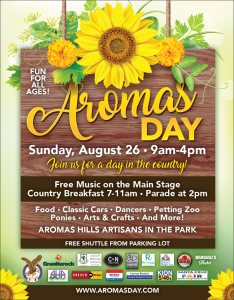 You can see the Aromas Day fliers and poster we helped the Aroma Hills Artisans with AND meet Cindy while checking out her amazing art on Sunday, August 26th. Aromas Day is free to enter so enjoy a day of live music, food, vendor booths, and entertainment on the Main Stage! Don’t forget to stop and say hi to Cindy and check-out the beautiful handmade Art in the Park with the Aromas Hills Artisans! If you need large-scale design work done you can trust that our talented design team will take pride in creating your billboard or other large projects. Contact us today for an estimate!